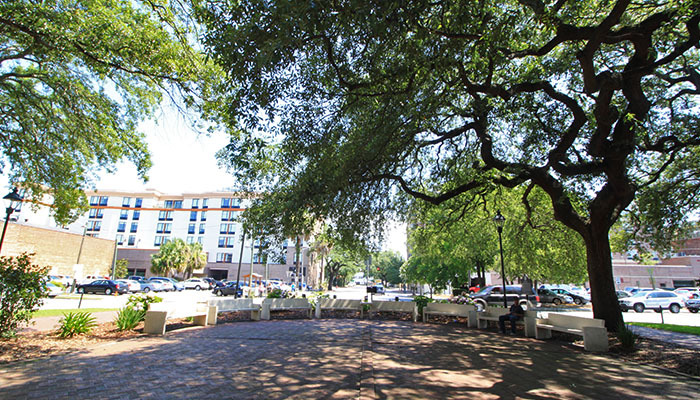 On the west side of City Market is Franklin Square, right in the middle of the downtown bustle. 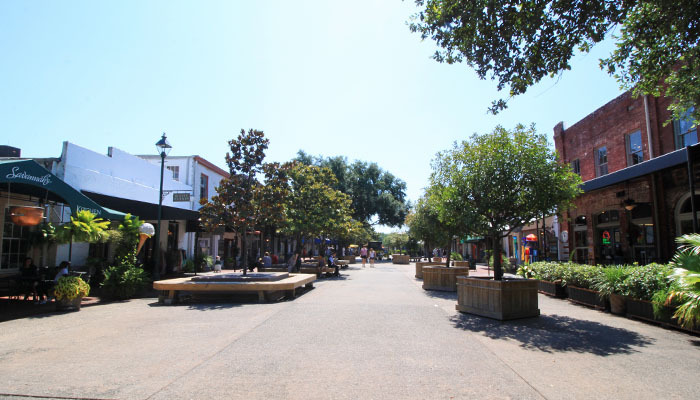 It’s surrounded by some of the liveliest night scenes in the city, with several bars just west on Congress Street. 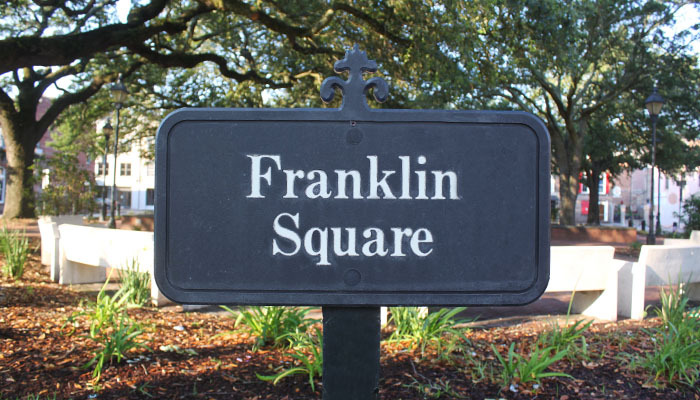 Designed in 1790 in honor of Benjamin Franklin, who was an agent for Georgia in London, Franklin Square was once known as “Water Tower Square,” because it was home to the city’s water supply in the mid to late 19th century. 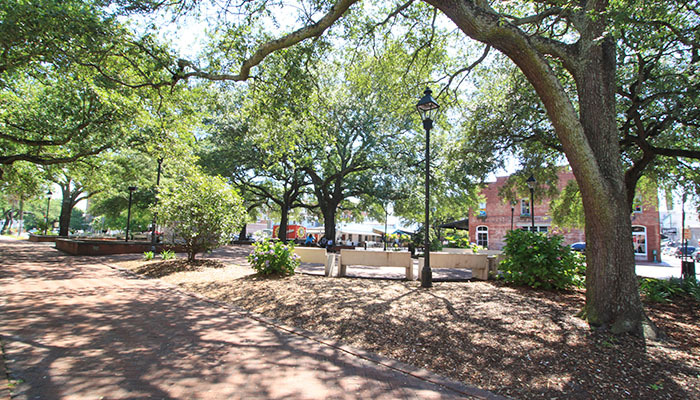 The square was restored in the late 20th century after the Federal Highway 17 was routed through Savannah, causing dissection of the square. 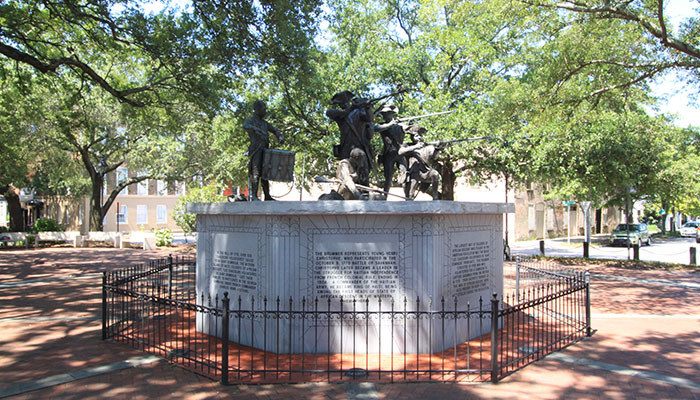 Now, the middle of the square is graced by the Haitian Monument, which pays tribute to the group of Haitian soldiers who fought for American Independence during the Siege of Savannah in 1779. 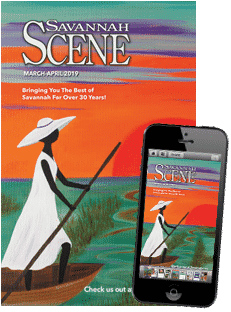 Sculpture James Mastin created this work, which demonstrates the “Les Chasseurs-Volontaires de Saint-Domingue,” or Freedom Fighters. The boy is 12-year-old Henri Christophe, who became the commander of the Haitian army and King of Haiti.